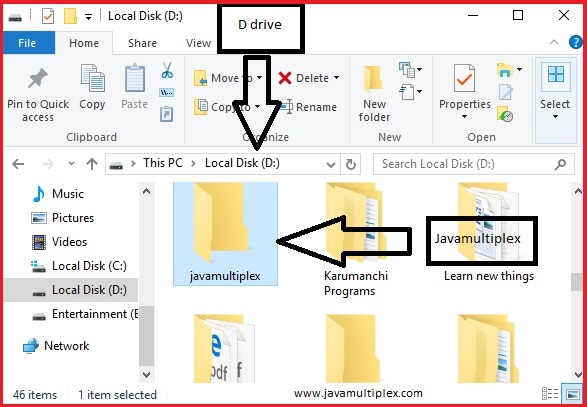 Home Basic File Questions How to create new folder in given disk drive in Java? 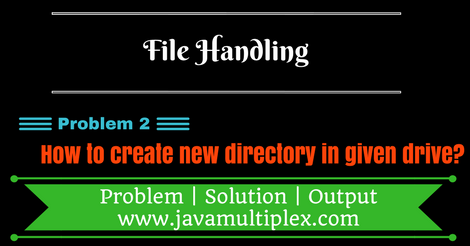 Write a program in Java that creates a new directory (folder) in given disk drive. We need to use mkdir() method of File class that is present in java.io. * package. We are using below File constructor to create File class instance. Check whether given directory exists in given drive or not? * @problem How to create directory in given drive? Output - How to create a new directory in given disk drive in Java? Tags : File Handling, Create new directory, if else, Scanner, BufferedReader, File, String, Regular Expressions, InputStreamReader, java.io, mkdir(), exists().